Welcome to our website! We at Lon Goff Custom Homes LLC love building custom homes. We've been doing it for more than 40 years. Please stay a while, take a look around and see some of our custom homes we've recently built for Maranatha Village. Lon Goff Custom Homes LLC is a distinctive Hall-of-Fame Builder. We work closely with our clients to provide a hassle-free experience. We love helping you select a design and crafting your next dream home. But we'll work with your architect too. Send us your blueprints and we'll get you started. There's a sharp difference between a cookie-cutter home and a Lon Goff custom-built home. Tell us what you want, and we'll come up with how to build it. It's the little things, the individual features, paying close attention to what others would consider less significant that sets a Lon Goff Custom Home apart from the rest. The Maranatha Village is a planned retirement community located on a beautiful and secure campus in Springfield, Missouri. 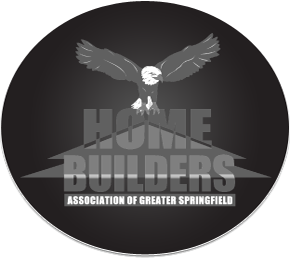 Lon Goff Custom Homes LLC is the exclusive builder. The development is entering the third planned phase and some of the best lots are now available. Lon Goff will meet you on-site at Maranatha Village, show you the lots available, go over the available plans, and make sure your plan will fit in the lot space. You may have a "grocery list" of wants and needs for your new retirement home. Lon Goff will go over your list with you to see if everything will fit your budget. Using both gas and electric utilities to maximize your energy efficiency decreases significantly your cost of home ownership. Several ADA Standards for Accessible Design apply to every Maranatha Village home built by Lon Goff Custom Homes LLC. All brick exteriors, coupled with aluminum garage doors, overhanging eaves and rafter coverings, make for a maintenance-free home. Maranatha Village was carefully planned from its inception and was constructed in a previously undeveloped area. A smart design means having smooth traffic patterns, good-sized bathrooms, ample closet space, and large master bedrooms. Paved walking trails, alluring landscapes, engaging curb appeal, the Maranatha Village Retirement Community is easy on the eyes. Intentional places for prayer and reflection. Hospitality spaces for food and fellowship. A community where you can belong. Functional kitchens with ample counter space. A beautiful house to come home to. Custom cabinetry with slide-out drawers for easy access. Privacy and unique home styles. A workspace that's easy on the eyes. Paved walkways along manicured trails. A covered screen porch brings the outdoors inside. Laundry rooms with cabinets and more. No maintenance. No yards to mow. Just living. Wood floors. Wood casings. Earth tones. Sit down on your front porch and enjoy the view. Carpet and tile makes for a warm space. Lakeside homes with incredible views. Custom wood cabinets with granite countertops and plenty of lighting. A home built especially for you. Every kitchen needs at least one Lazy Susan. A home where grandkids can visit. Gather around the kitchen or relax nearby. Lots of trees. Lots of greenery. Take in the lakeside view without going outside. Larger home sites with multiple car garages. Wood casing with in-window blinds. Every lot. Every home. A part of your life. A back porch with a view. Designed for exceptional retirement living. ADA compliant bathrooms with custom wood cabinetry. A place your family will be proud of. Rooms big enough for an office with plenty of natural lighting. Beautifully landscaped. Intelligently master planned. An easy kitchen to work and get around in. Common areas to build friendships. A kitchen right in the center of living. Special landscapes with unique style. Warm rooms oozing with comfort and practicality. Getting from here to there never looked so easy. Large master bedroom with bath. A lot of site engineering and planning! His and her sinks with ample cabinet space. Some home sites will take your breath away. Pantry and laundry all in one space. A home with lots of character. A living room with plenty of space to entertain guests. 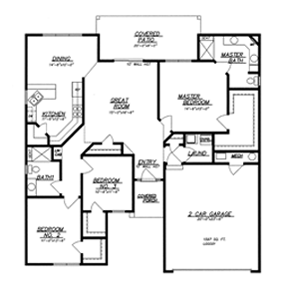 "Click on a picture below, and you'll be able to see a larger hand rendering along with a floor plan for each model home we offer at Maranatha Vilage. If you see something you like, give me a shout." "I am still excited about retiring in Maranatha Village. I wish I had done it 5 years ago. I try to go walking every day it is nice out." "Never have I dealt with such professional and understanding people. My home was well done and affordable. I couldn't have asked for more."